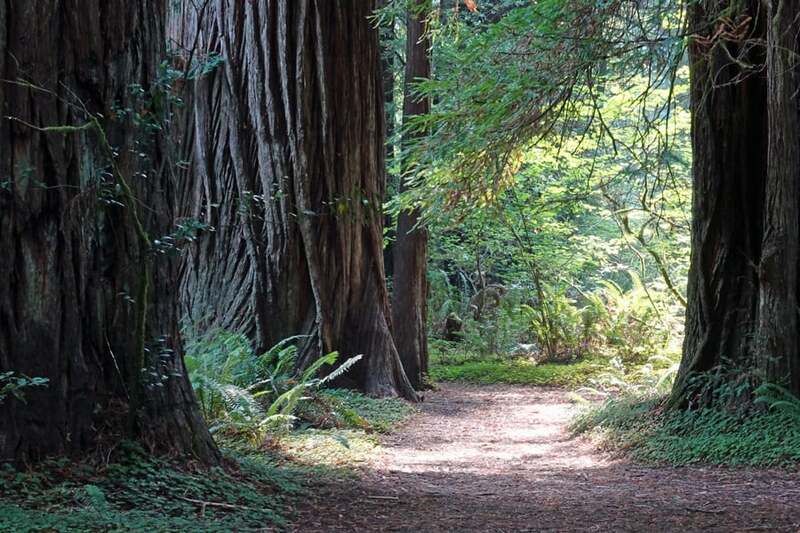 Redwood National & State Parks hosts many of the most beautiful hiking trails on the planet; some explore extensive redwood groves with giant trees, while others travel along the rugged California coast. 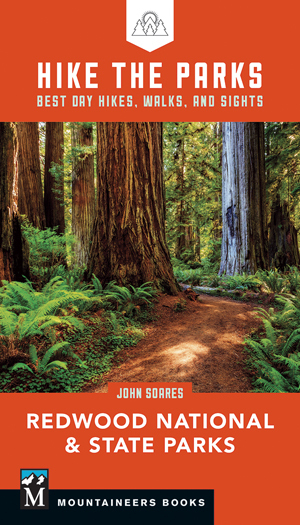 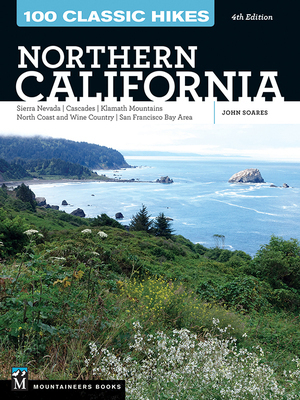 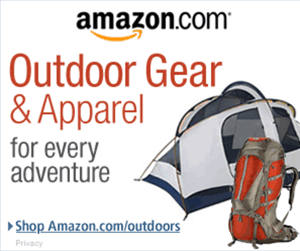 is your all-color guide to the best trails, from short walks through roadside redwood forests to longer hikes that start in the redwoods and dive down to isolated stretches of coastline. 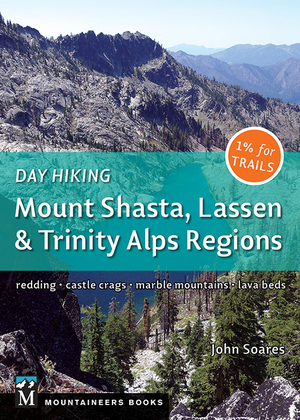 Here are the major sections of the book, along with the hike numbers and names. 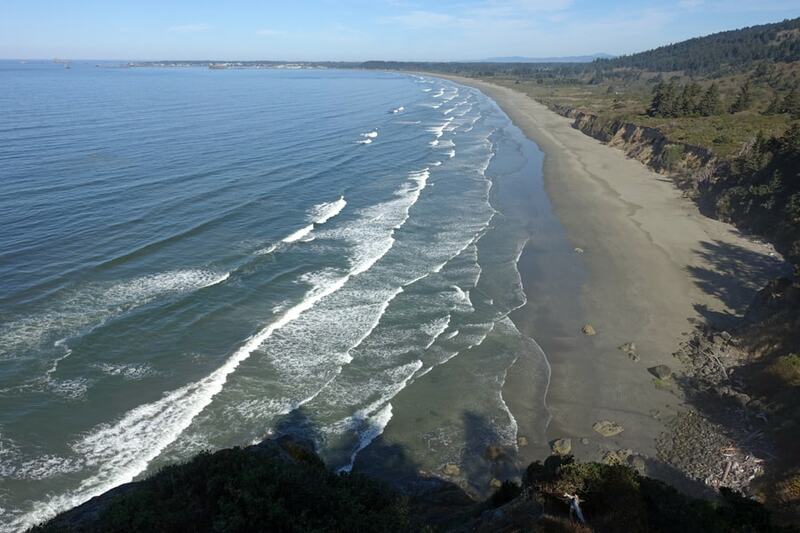 Crescent Beach and Crescent City from the view point at the Enderts Beach/Coastal Trail trailhead. 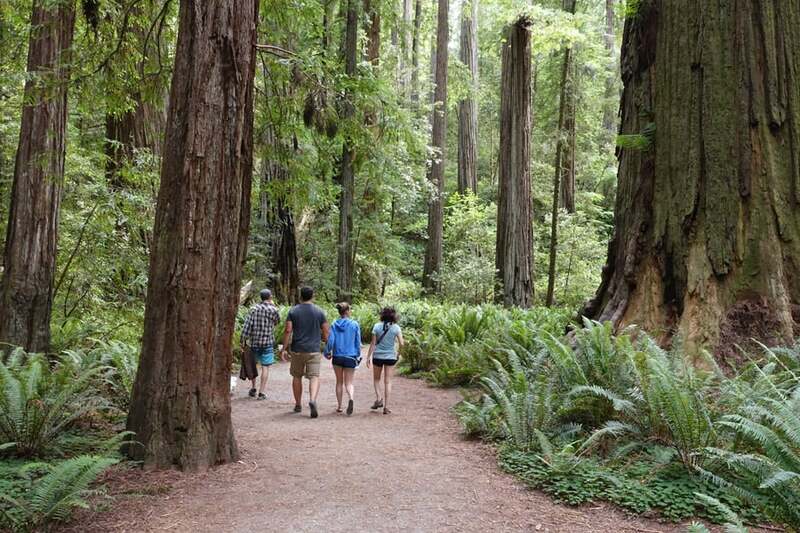 Hikers on the Stout Grove trail pass under giant redwoods in Jedediah Smith Redwoods State Park.